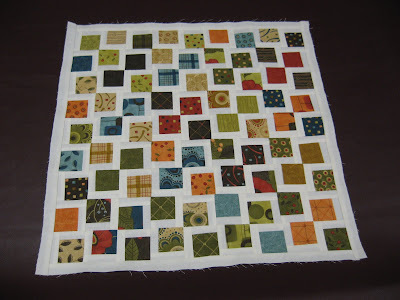 Hooked on Needles: Tranquility Mini Quilt ~ Almost Finished! 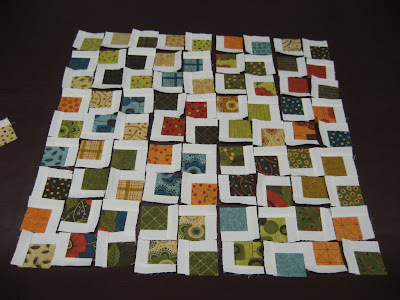 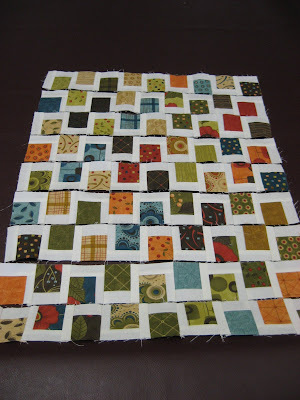 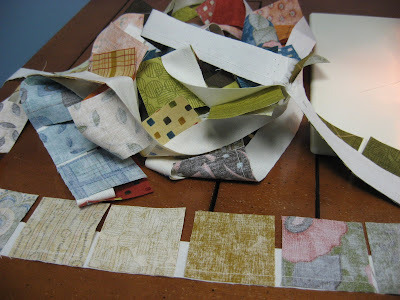 Since my first writing about this project, which you can read HERE, I continued piecing this mini quilt in the same was as I pieced my Rainbow Quilt show in this tutorial. 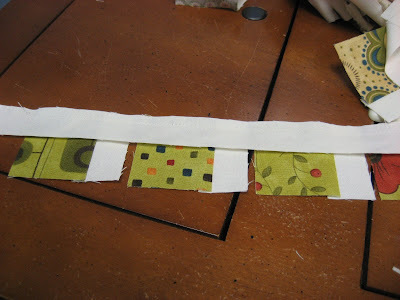 ... and then pressing them while still connected made this part of the process so much easier than cutting tiny strips and sewing them onto tiny squares and then pressing tiny seams individually. I even used my tiny cutting mat, tiny straight edge and tiny rotary cutter to cut the tiny blocks apart! 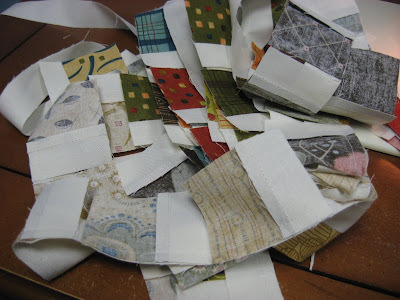 ... onto all the blocks, pressing the seams, and cutting them apart. 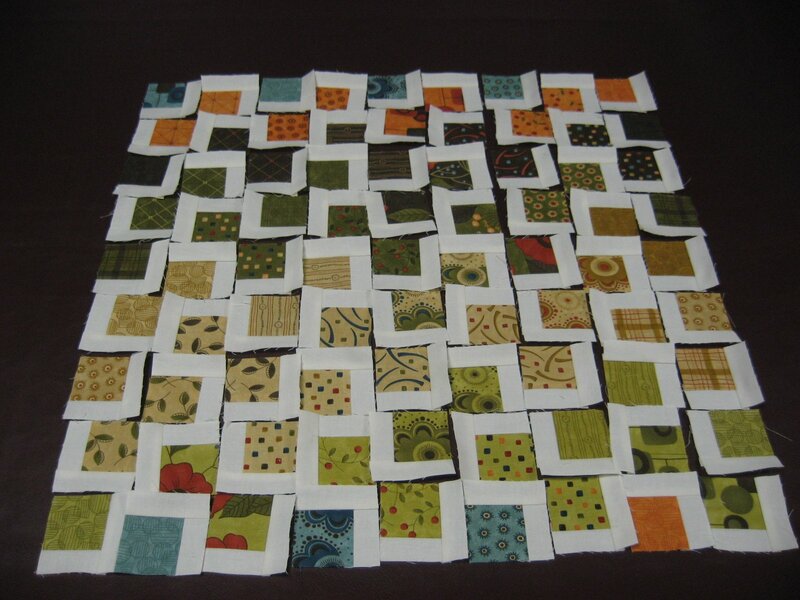 Then came the fun part...laying out the little blocks in different arrangements to find out what I liked best. I tried this one first, where the colors graduated and pairs stayed together. 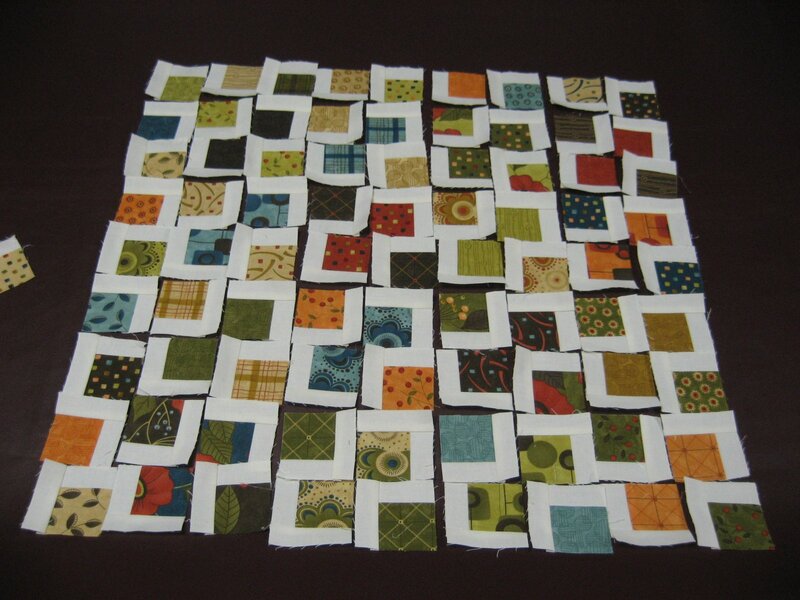 Then I mixed up the colors and made some pairs match up at their points and other pairs face away from each other. I liked this arrangement better, and decided to go with it. Using my favorite chain piecing method of connecting blocks, which you can read about HERE, I pieced these 81 little blocks together. 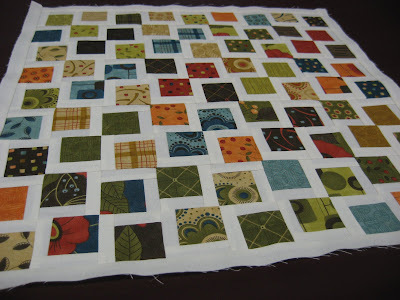 If you didn't already know that this is a mini quilt, you could be fooled into thinking it is a much larger square since there is nothing in this picture to show scale. 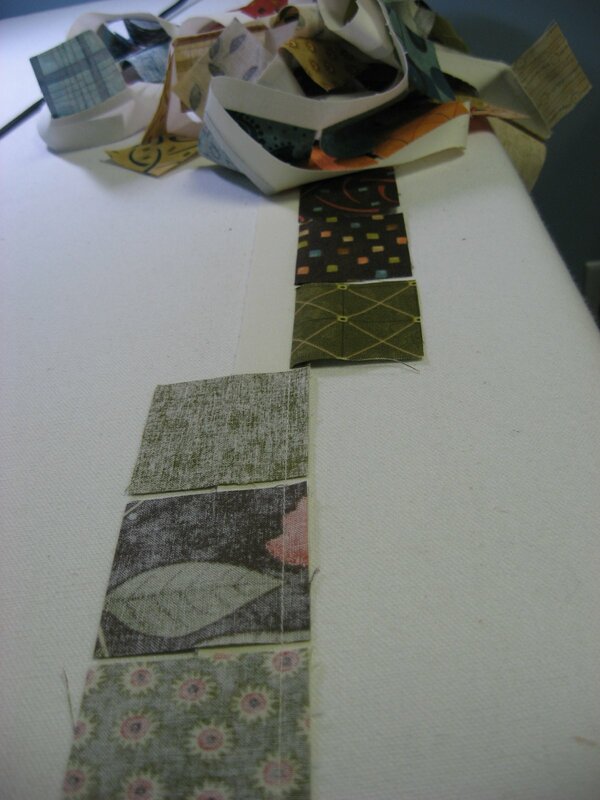 Each print square finishes at 1 1/2 inches and the sashing finishes at 1/2 inch. 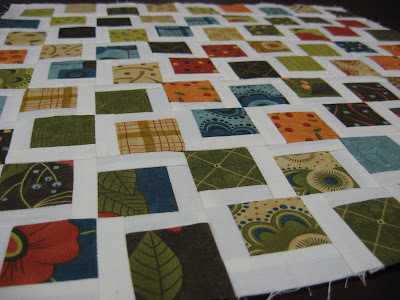 I added a border all around the whole piece to finish off the top. This will be useful for when I do the second stitching of the binding which I will show in a later post. 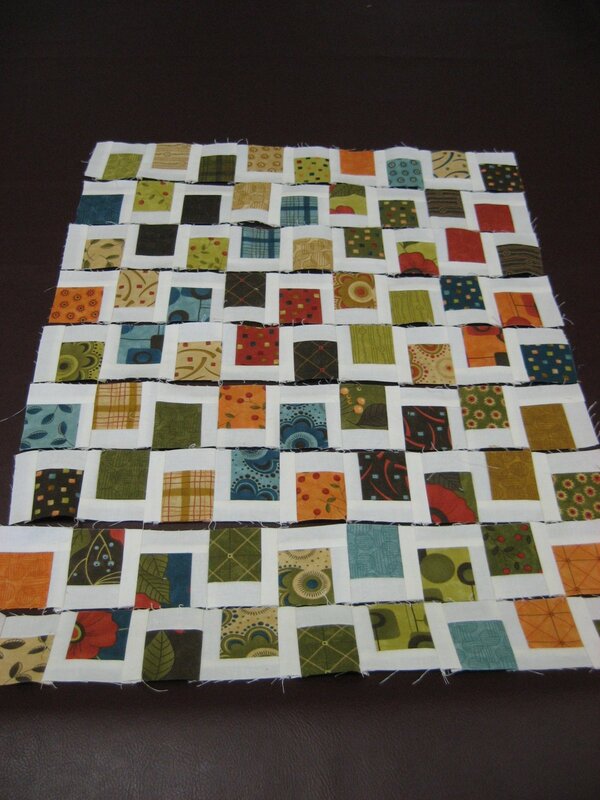 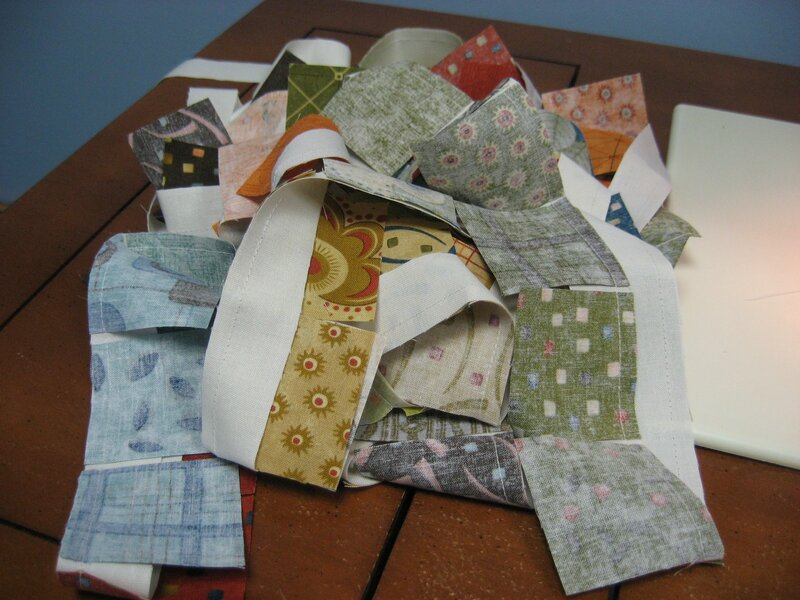 So there is my mini quilt, waiting for some batting, backing, quilting and binding. I'll share pictures of that with you soon. The Butterfly Garden Quilt that I finished some time ago is going on the long arm this week and I am so excited to pick out a quilting design and get that quilting done. 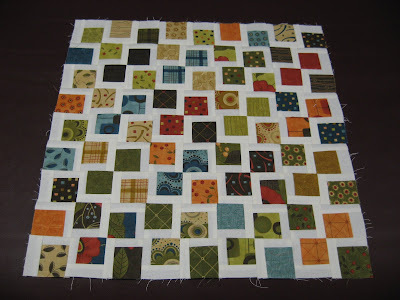 I'll be making the binding for it today so it will be all ready to stitch onto the quilt and then it will be finished and ready to deliver. This one is a bridal shower gift that a friend is giving to her daughter. 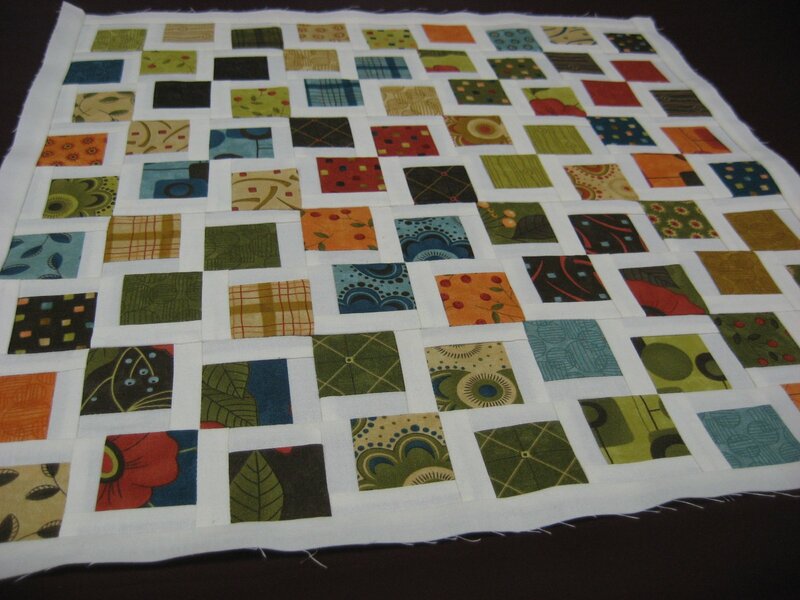 What a lovely gift! 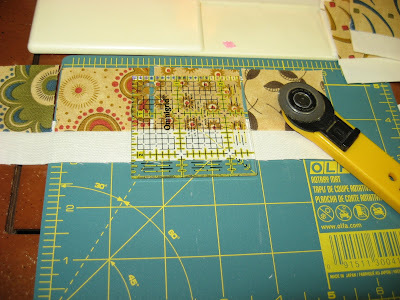 I'll be sure to share pictures of that finished project as soon as I can!